Break-ups are never fun. It is easy to find ourselves in a funk. If we’re not careful we can fall into a black hole of negativity and end up throwing a pity party that goes on for days, weeks, maybe even longer. To combat this, we need to stay positive about our life and what the future holds. The following 5 steps can help you let the light of positivity shine through your darkest days. So, the relationship didn’t work out. It doesn’t matter the reason. The point is that it is now over and done with. You have to put down that 2×4 you’re beating yourself over the head with. There is nothing fundamentally wrong with you that makes you unlovable. You are a perfectly imperfect human. People do things because of what is going on inside of them. That old saying “it’s not you, it’s me” is actually true. Even if your actions contributed to the break-up in some way, it was your ex’s internal reaction to those events that led to the good-bye. You are not a bad person, just not the right person for this relationship. There is somebody out there you are perfect for. If you have to, tape Q-tips all over the house to remind yourself to quit taking it personally. Act as if your life is nothing but positive. Kind of like “faking it until you make it “. When you are feeling down, maybe throwing yourself a little pity party, ask yourself what would you be doing right now if you weren’t feeling down in the dumps – and then do it. If you used to relish girls night outs when you had a free evening – plan one. If you used to like to spend time alone painting – break out those paints. Act as if you are happy, loved, fulfilled and soon you will be. Our reality is drawn by our thoughts. Both drawn as in drawing a picture and drawn as in being pulled in. You have that power. Anger, resentment, frustration. These are the emotions that fuel a negative outlook. These feelings will eat you alive. You need to release them. In order to regain your positive attitude and save yourself, you need to forgive your ex and yourself for the end of the relationship. I have found that prayer can do wonders for your attitude. Pray for your ex. Pray for their happiness and that they find peace. And then do the same for yourself. Thank the universe for all you have. Practice gratitude. Notice all the amazing things in your life; big and small. Make a list. Play a game with yourself. Maybe today I am going to notice all the things I am grateful for that start with the letter A, etc. Find aspects of the relationship that you can be thankful for. I’m sure there were life lessons that you learned, be happy you learned them. Look at the relationship and your ex as a stepping stone on the your way to your best self. There are things in this world that you cannot change. That’s just the way it is. You cannot make it stop raining, but you can look for the rainbow. You cannot will the sun to rise, but you can enjoy the silence in the darkness right before the sun breaks through. You cannot make someone want to be with you, but you can feel positive that now you are free to find out more about yourself and what you want. You can only control your actions, your reactions, and your feelings. When something is getting you down, stressed, anxious, or worried; ask yourself “what is under my control here?” Probably not much. But what you can control is how you choose to let it affect you. Let go of the rest. Give it to the universe to work out. It will work out exactly as it is supposed to as long as you don’t get in the way by trying to force the resolution you think is best. 5. Concentrate On What You Can Change – YOU! This is your time. Celebrate it. You are free to do whatever you want to become the person you are drawn to be. If you want to be the best mom ever – concentrate on that. If you want to get in better health, come up with a plan. If you want to create a deeper connection to your spiritual side, learn meditation or go on a retreat. Your future is waiting for you. Open the curtains in your mind and let the light of positivity shine in. All it takes is one little ray of positive attitude and before you know it, it will soon illuminate your whole life. You have complete control over how your future plays out. I know it sounds corny, but today really is the first day of the rest of your life. Live where your feet are – the here and now – and walk into your future. It’s wide open. About the Author: Nicole is a Mediator, Conflict Resolution Coach, and founder of SerenityAfterDivorce.com where she aims to bring peace to divorced families. 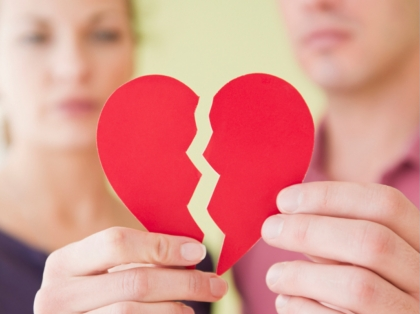 To find out the biggest mistakes women make after a divorce, grab her free special report.